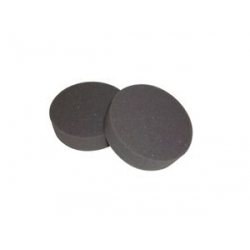 This high density shock absorbing foam pad is temperature and pressure sensitive. It will mould perfectly around the hoof spreading the pressure evenly offering support and thereby relieving the pain caused by laminitis, abscesses and other hoof injuries. It is both breathable and washable and ideal to use in conjunction with the poulitice boot or with a barefoot hoof boot.